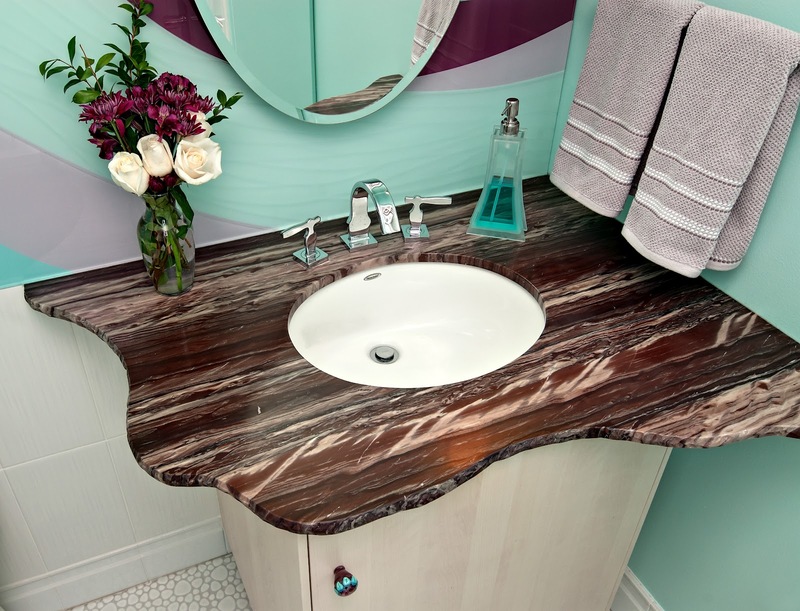 A current trend in bathrooms is to combine classic and contemporary elements - with a focus on clean lines, pops of color, and the use of enduring and beautiful materials such as chrome, glass, natural stone, and wood. 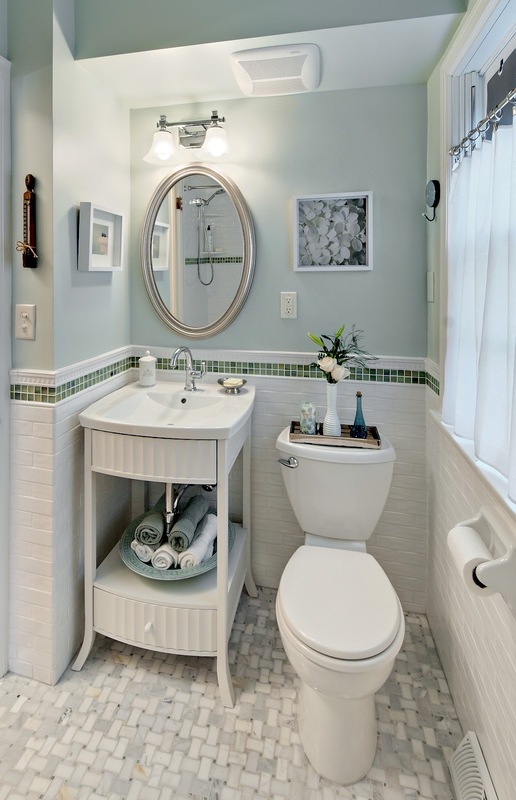 This is a trend especially well suited to refreshing and remodeling the bathrooms in older Twin Cities’ homes – which is why I especially enjoyed the opportunities to work on the designs for the four projects featured here. It has been a busy but satisfying winter, bringing these projects to completion and seeing my clients enjoying their renewed spaces. A special “thank you” goes to Mark Ehlen of Ehlen Communications for his amazing photography. The focus is on glass in this stunning bathroom remodel. The client came to me with a piece of art glass that she loved and wanted to use as a focal point. She asked me to design her bathroom around it. It was a dream project for me—and I had an absolute blast working with the client. 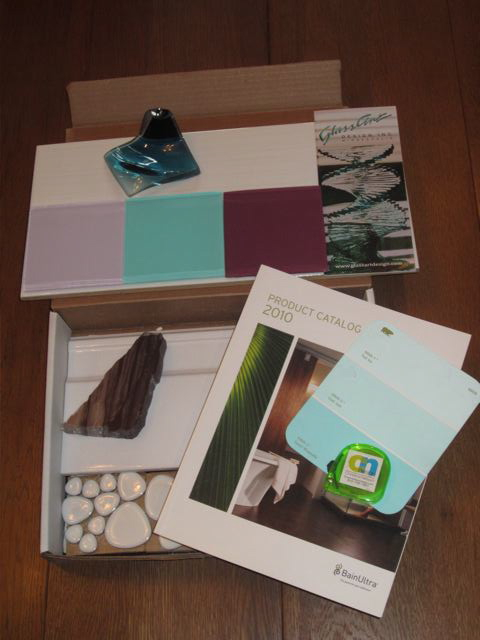 Our personalities just seemed to mesh as we worked through all the details of the design process and began collecting sample materials that we planned to use. One fun-filled day we started calling the project “Bathroom in a Box”– and the name stuck. Our progress on the project, from start to finish, is documented on my Facebook Page – and it makes quite a story. 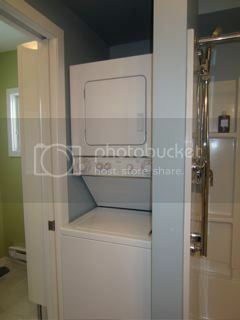 Be sure to check it out – and “Like” my page to be sure you see more projects unfold in the future. 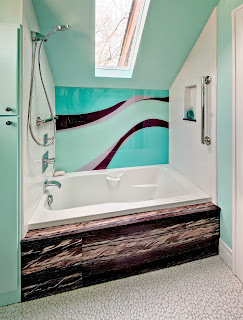 We originally planned to use glass tiles on the walls but when we could not find exactly what we had had in mind we turned to Glass Art Design in Minneapolis. 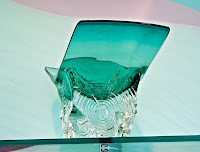 We described our vision to them and they created two glass walls of etched and sandblasted glass sections that perfectly captured our river theme. 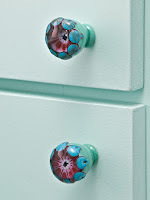 The glass is hand painted on the back. 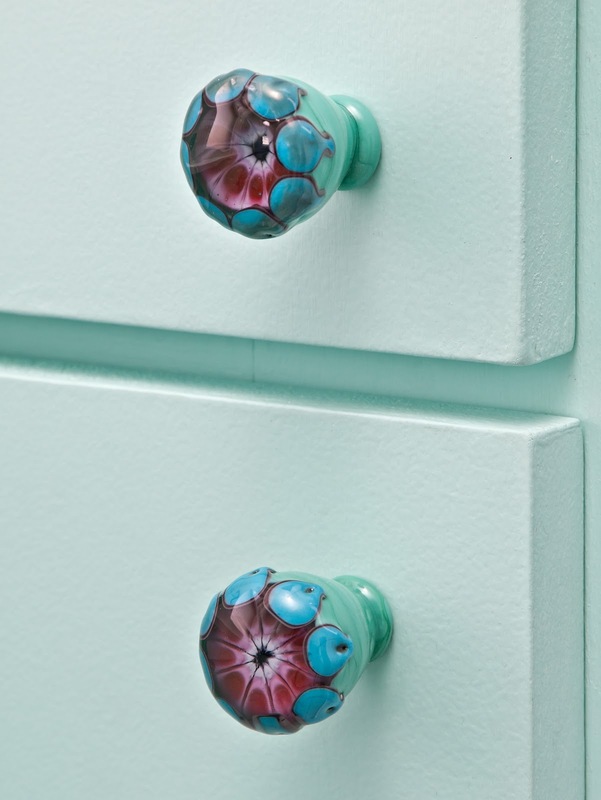 Every other detail in the room’s design was carefully selected to compliment our glass theme—right down to the handmade glass knobs by local artist and designer, Wendy Mosmon. 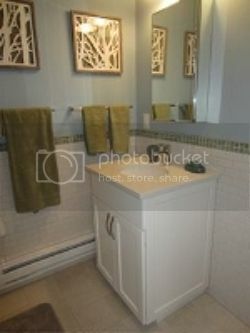 Besides the glass panels, other trends included: large rectangular and textured wall tile, white pebble floor tile, unique marble vanity top and tub surround, chrome fixtures, glass knobs, built in niche in the shower area, and fun coordinated wall color. 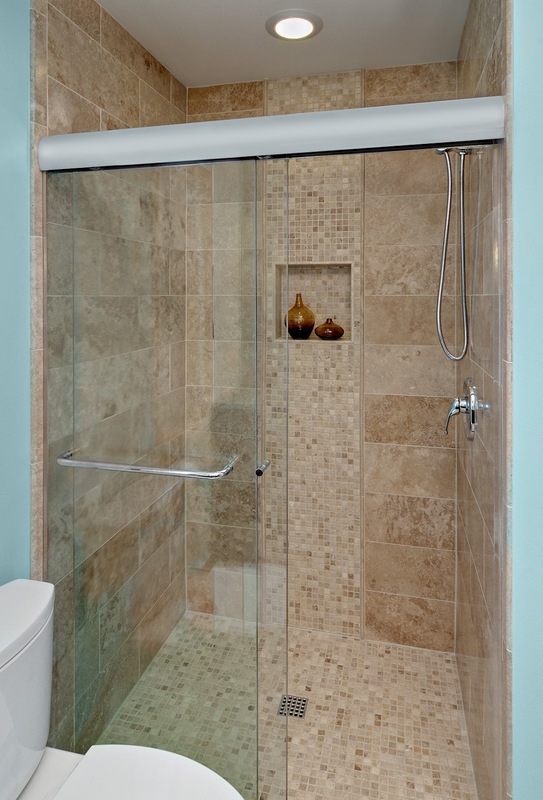 The Bain Ultra air jet tub provides the ultimate in relaxation. 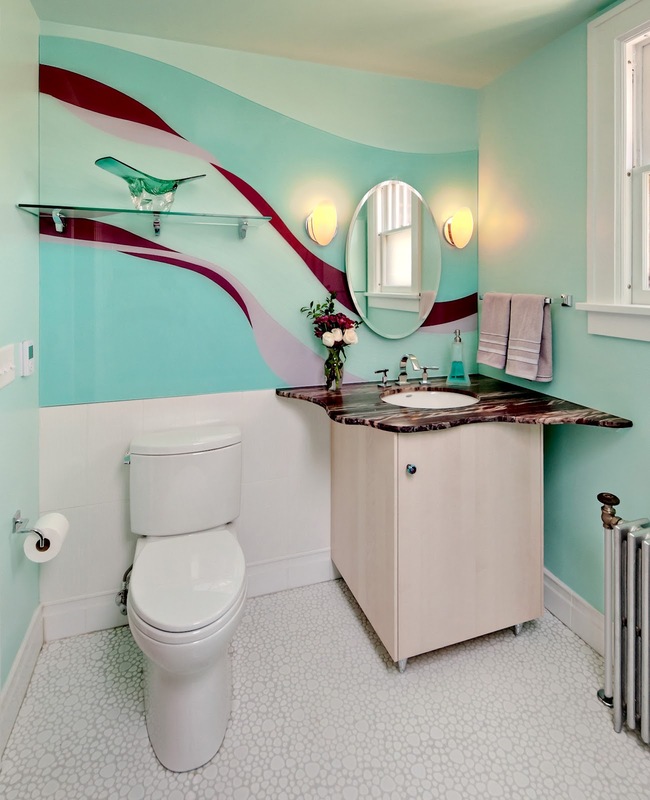 This bathroom “Spiff Up” in a 1940’s house in South Minneapolis, is light and bright. 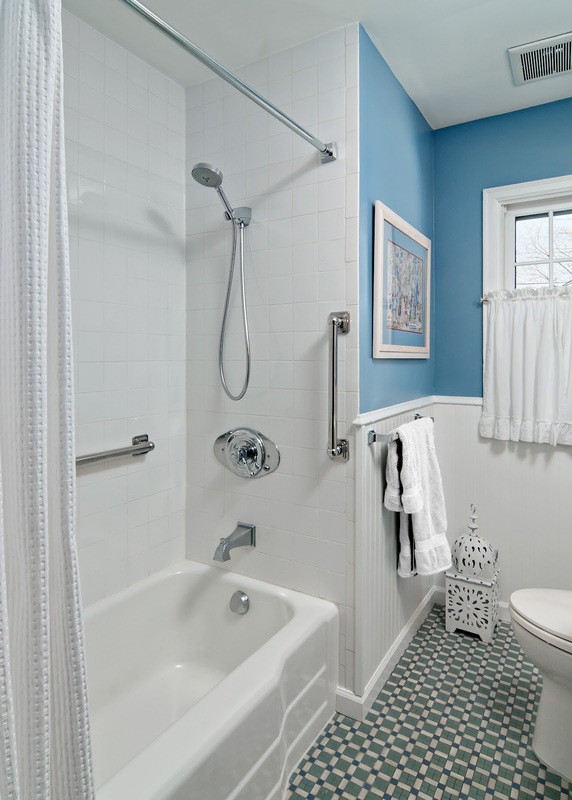 The client wanted to keep her tub—which we painted—her beautiful authentic floor tile and the white tile in the tub surround. 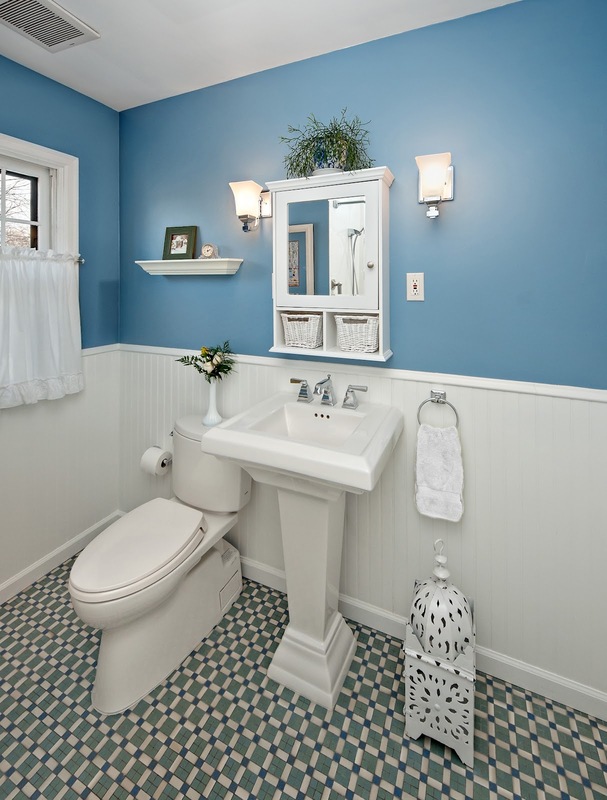 In this project we used chrome fixtures, beadboard walls, fixtures and accessories that mirror the square shape of the space, period sink to match the era of the house, and a fun splash of color on the walls! This bathroom was a total remodel—taking the entire room down to the studs. 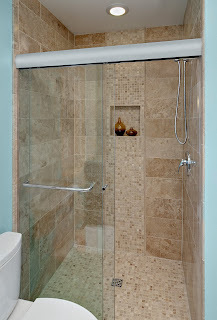 The client’s husband was able to do almost all the work in this beautiful natural stone experience. 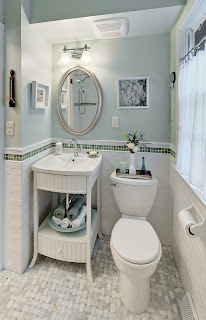 Natural stone tile, dark wood cabinets, under mount sink with granite counters, chrome fixtures, updated glass shower doors, and a soothing sea green paint to contrast with all the natural color tones. 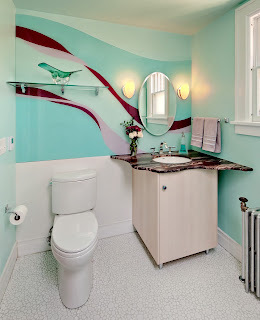 This bathroom was another South Minneapolis 1940’s home where we completely gutted the bathroom to start over, so all the fixtures and tile are new. 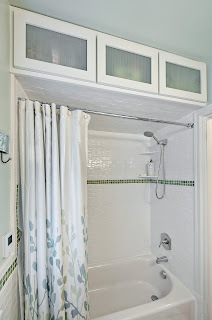 We combined historic subway tile and marble floor tile, and added a frosted glass border to bring some punch to the room. 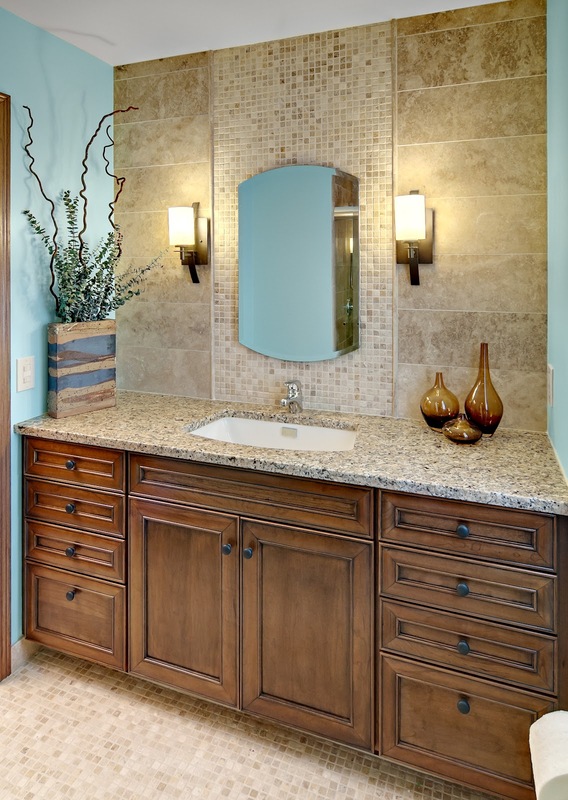 The much-needed storage above the tub blends well with the room’s décor. 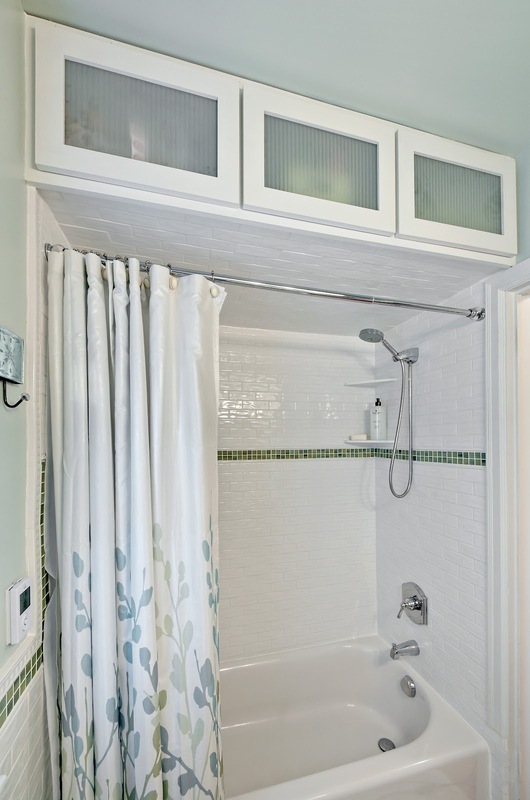 Subway tile, glass tile, freestanding vanity, chrome fixtures, rain shower sprayer, heated floors, and a light calming see breeze color on the walls.